The Central University of Rajasthan has very well maintained classrooms and labs. New hotels and department buildings are being constructed. 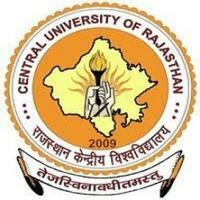 Overall infrastructure is very good of Central University of Rajasthan. The hostels in Central University of Rajasthan are very good and cheap. Staying out of campus is a costly venture. The food in the hostel mess doesn't tastes great but is hygienic. The hostels come with wonderful mess facilities, medical facilities, sports facilities, and administration. There is a separate unit each for boys and girls. There are 2 fully furnished hostels which have twenty-four-hour security provisions. Facilities include cots, curtains, storage space, study tables and various recreational facilities. These include DTH television, table tennis facilities and sports facilities for table games, tennis, chess, volleyball, cricket and other games. There are medical facilities including care boxes present at every hostel. There is a good mess service for each hostel that is governed through the CURAJ mess committee made up entirely of the students.